Thugs of Hindostan has emerged as the biggest disappointment of the year. 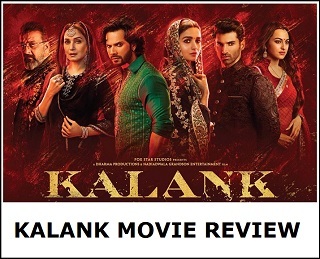 Film was a big ticket Diwali release and was set to storm box office. It did happen on first day but after that it is all downstream. In comparison, Race 3 was also one of the big festive film of the year. 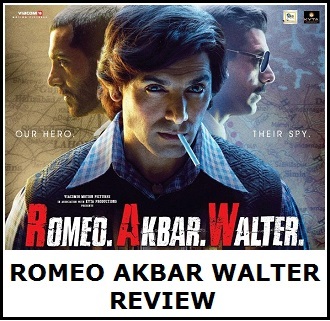 That film released in EID and under-performed at box office considering the star power of Salman Khan. Atleast Race 3 managed to emerge as a Semi HIT at box office and did a decent business in India. As for TOH, it is looking highly unlikely that it will go anywhere near that. Even if collections go near that but because of hefty budget it is looking like an outright flop at the moment. Comparison of Race 3 and TOH is not 'like for like' cause, simply because of the budget. 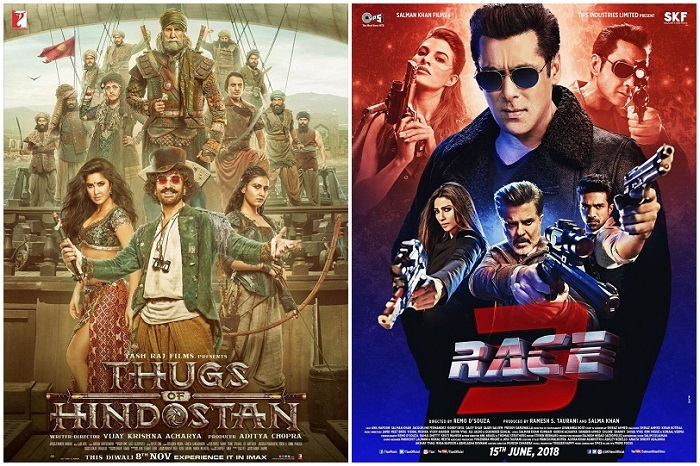 TOH is a much bigger film than Race 3, be it star cast, budget or banner. Also, trending of Race 3 is much better than TOH. Race 3 showed growth through the weekend. Had Race 3 opened on a big day it might have even go close to 180-200 crore mark. It didn't got the benefit of big opening day which TOH got. Yes, TOH got benefit of huge first day which is not the case for Race 3. Still after 5 days both film collections are nearly same. Only difference is the trending. TOH trending is much worse than Race 3. As for the ticket prices. In weekdays prices are nearly same for both the movies. But in the weekend TOH enjoyed an on average 15% hike in ticket prices from Race 3. Race 3 -> 29.15 crore nett. Thugs of Hindostan -> 52.25 crore nett. Race 3 -> 38.15 crore nett. Thugs of Hindostan -> 29.25 crore nett. Race 3 -> 39.15 crore nett. Thugs of Hindostan -> 23.5 crore nett. Race 3 -> 14.25 crore nett. Thugs of Hindostan -> 18 crore nett. Race 3 -> 10.5 crore nett. Thugs of Hindostan -> 6 crore nett (est). Race 3 -> 131.2 crore nett. Thugs of Hindostan -> 129 crore nett (est). Race 3 -> 173 crore nett (Semi Hit). Hey You Idiot Maybe You Don't Know SalmanSir Did Those Movie To Give A Break To Many Talented Producers And Directors, One Of Them Is Todays Most Accalimed SLB.. He Did Those Movie Coz He Knows What Is Friendship Not Like Your Selfish Star..The Only Man Who Never Steps Back In Someones Bad Situations..Do You Know SalmanSir Used To Do Those Movies Without Knowing The Scripts..You Bloody Idiotic Blind Fan Of Someone Who Can Never Achieve The Stardom SalmanSir Has..Click On Your Dirty Mind, He Is Known As The GoldenHearted Man For Reasons..
i think its new name is ankit shandilya. i guess that may be i am wrong. yes you were right how many blockbuster given by sulman even more then movies amir did in total. and its Sulman who have record all time most 100 , 200 and 300 crores movies in his kitty. Big Boss is seprate from this story. Race3 is a winner all the way! Salman Khan was is and will be the biggest superstar bollywood has ever seen.. in terms of being a crowd puller .. Period ! Still Some Morons Will Bark..
Set And Lock The Fact In Your Mind From Here..